Progesterone is a key hormone in fertility health. In terms of menstrual cycle health, it comes into play after ovulation when luteinizing hormone (LH) stimulates the corpus luteum, the egg sac in the ovary that remains after ovulation. It is the corpus luteum that produces progesterone. There are 5 natural ways to influence and support healthy progesterone production when progesterone levels are low. Encouraging adequate progesterone levels in turn supports overall hormonal balance. Vitex boosts LH production in the luteal phase of the menstrual cycle which, in turn, supports increased progesterone production by the corpus luteum. German research shows Vitex may help prevent miscarriage due to low progesterone levels when used through the end of the third month of pregnancy. Maca influences the production of estrogen, testosterone, and progesterone supporting hormonal balance where it is needed, without containing hormones itself. Maca controls estrogen in the female body, supporting healthy estrogen levels. Excess estrogen circulating in the body is known to cause low levels of progesterone. Taking maca may help to increase progesterone levels by balancing the estrogen to progesterone ratio. DIM helps the body metabolize and detoxify from excess bad estrogens, helping maintain healthy estrogen levels. Excess bad estrogens in the body cause an overabundance of estrogen in the body and hormonal imbalance. This is why it is important to also avoid toxins which contribute to an overabundance of estrogen. Read on! The majority of humans are exposed to excess estrogen and toxins often referred to as xenohormones. Xenohormones come in a variety of forms – from pesticides and herbicides on conventional produce, hormone-treated animals that give us food, to conventional body care and household products. Consuming large amounts of caffeine regularly, drinking beverages, and eating from plastic containers which leach xenoestrogens into the foods they contain, are also known to contribute to toxin overload and estrogen dominance. Body fat contributes as well. Excess estrogen is stored in adipose tissue or body fat. Being overweight or obese contributes to hormonal imbalance because fat cells are known to change the hormone produced by the ovaries called androstenedione into estrogen. Estrogen is then stored in these fat cells and slowly released into the body. The more body fat, the more potential for excess circulating estrogen. Elevated exposure to xenohormones and high BMI are linked to elevated estrogen and lower progesterone levels in the body. Natural progesterone cream is a bio-identical hormone cream that starts working immediately to boost progesterone levels in the body. Natural progesterone cream may help to alleviate a variety of symptoms associated with fertility health issues. While it is a quick way to influence progesterone levels, natural progesterone cream is not addressing the underlying cause of the hormonal imbalance or the fertility health issue it is being used for. If considering or already using natural progesterone cream, take time to learn these 10 important tips about natural progesterone cream use. Healthy progesterone levels are important for fertility health and pregnancy. If you think you have low progesterone levels, take time to confirm through testing. 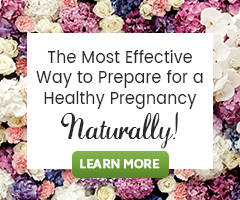 Knowing if you have low progesterone or not will be helpful as you work to create a natural fertility program to improve your fertility health. Focus first and foremost on eating a whole food nutrient-dense diet, leading a healthy, low stress, active lifestyle and supporting fertility health with herbs, nutritional supplements and natural therapies. Natural progesterone cream has the potential to be most effective when these areas are addressed prior to its use. Lee, J., & Hopkins, V. (2006). Dr. John Lee’s hormone balance made simple: The essential how-to guide to symptoms, dosage, timing, and more. New York: Warner Wellness.